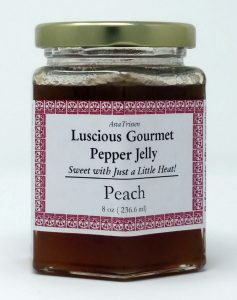 Made from juicy, ripe Peaches with Jalapeno and Habanero peppers. Great Peach & Pepper flavors with just a little Heat! 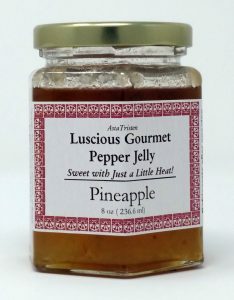 Made from fresh Pineapples with Jalapeno and Habanero peppers. A delicious play of Oriental Sweet & Sour. 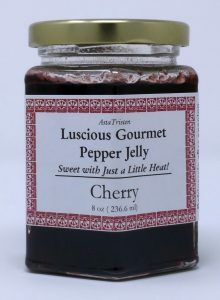 Made from Sweet Red Peppers along with Jalapeno and Habanero peppers. 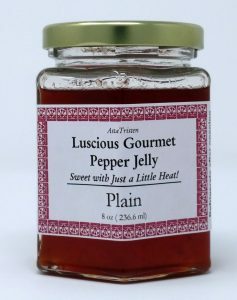 Our traditional MILD Pepper Jelly. 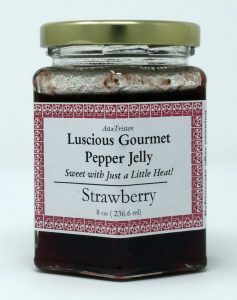 Made with delicious Sweet Strawberries, Jalapeno and Habanero peppers. Our mildest offering, with just a little pepper pop. Made with Red Peppers along with plenty of Jalapeno and Habanero peppers including the seeds to give you the HEAT you desire! Crisp tart green apples. 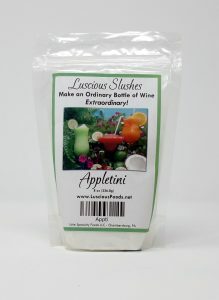 Our Appletini can be used as a slushy with White Wine, or use Vodka to make a traditional Appletini. You will feel like you’re in a trendy New York Bar sipping your cool drink. 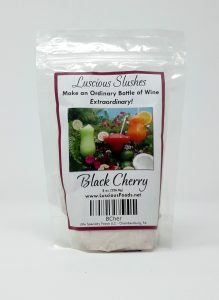 The flavor of Rich Ripe Black Cherry in a Wine Slush, they are only here for a few months each year. Now you can have them anytime you want them. ​This is for the Chocolate Lover in us all. 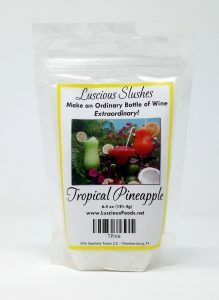 This Slush Mix uses Vodka instead of wine. 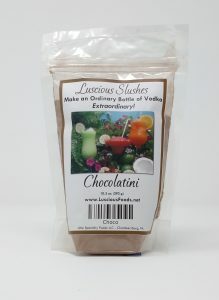 Try it for a delicious Adult Chocolate Milk Shake taste. 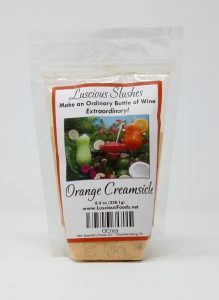 ​Orange Creamsicles for Adults! 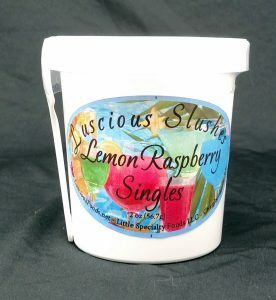 Mixes with White Wine, Rum, Vodka, or your favorite alcohol for a delicious taste to bring you back to your youth. 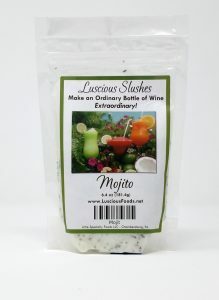 ​​Transform an ordinary bottle of champagne (or white wine) into a cool party drink! Just stir mix with a bottle of champagne and water, freeze, and serve. 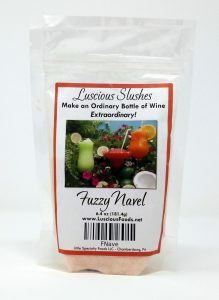 Our Fuzzy Navel flavor blends juicy peach with orange. Made with real orange juice powder. 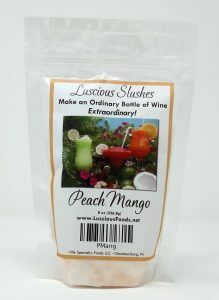 ​​Our Peach Mango Slushy will send you to the Caribbean! 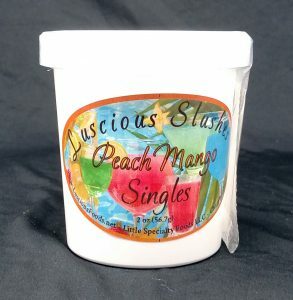 Sweet peaches and mangos will make you feel like you are sitting on beach wit yo toes in da sand mon! ​​Do you hear the soft music of the Ukulele playing? 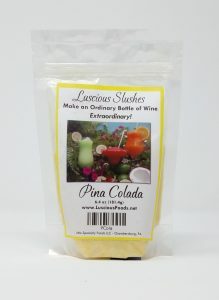 Our Pina Colada Slushy blends Pineapple and Coconut into a taste of the islands. Made with real fruit juice it will make you feel like you are on the North Shore watching the most beautiful sunset you have ever seen! 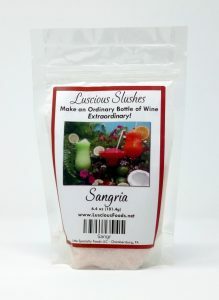 ​​”Drink in the Passion of Spain” That is how Sangria is described. This is a delightful mix of berry, orange, lemon, and lime flavors, made with real fruit juices, our mix will make you think you’re in Madrid sipping a cold drink on a Hot Summer Evening! 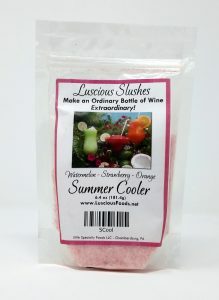 ​​​Transform an ordinary bottle of wine into a cool frozen cocktail! Just stir the mix with a bottle of wine or champagne and water, freeze, and serve. 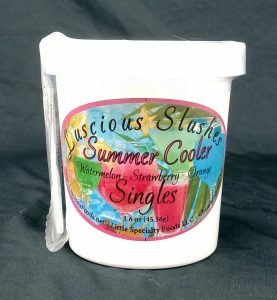 This Summer Fling flavor features watermelon, strawberries, and orange. Made with real orange juice powder. ​​​ Our Tropical Pineapple Slushy gives you the taste of a fresh ripe Pineapple. 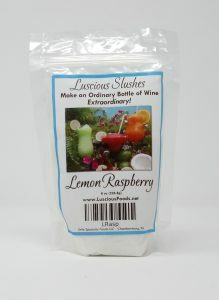 Mix this with Coconut or another Tropical Flavored Alcohol to have a great and refreshing tropical drink. 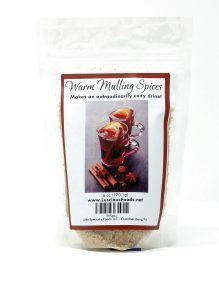 Cinnamon, Cloves, and Nutmeg combined with Orange and Lemon makes this spice mix delicious and soothing. 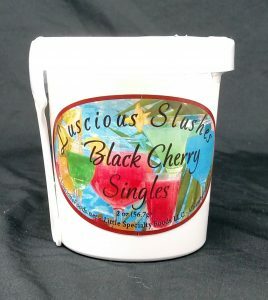 Use it to Mull Apple Cider, Cranberry Juice, Wine, or even make Hot Rum Toddies! A great way to warm up when you are chilled to the bone!